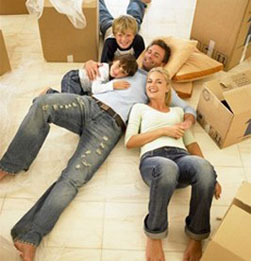 At Eagle Moving we would like to offer some basic moving tips that some people might overlook otherwise. These tips will help your next move go much more smoothly and get you moved in a quick and efficient time. 1. Schedule a mover two months before your move. 2. Most important, start packing early so you will not feel overwhelmed and stressed. 3. Start a file for your moving receipts, they may be tax deductible. 1. Decide which items you are taking with you and which items you are selling, donating or disposing of. 2. Go to the post office and fill out a change of address form with the date you would like your mail to start being delivered to your new location. 3. Notify medical doctors, dentist, eye doctor, schools, work, etc. of your new address. 1. Notify the following companies of your new address: cable, electric, telephone, gas, home insurance, car insurance, life insurance, charge card companies, bank, etc. of your new address. 2. Gather up your last month of bills and put them in a separate file that is easily accessible in case you have to contact any of these companies when you move into your new location. 3. Continue packing non-essential items that your will not be needing such as off season clothing, china, etc. 1. Pack your valuables, these include passport, insurance papers, property deeds, auto-mobile ownership, etc as well as cash and jewelry. Plan to keep these valuables with you. 2. Clear the refrigerator; use any perishable foods and limit any repurchases. 3. Continue packing. The more organized and prepared you are on the day of the move, the smoother the move will go. 2. Inform your mover if you have additional items or you will not have everything completely ready when the moving crew arrives. Also, inform the movers if you think that there might be a problem with completing your delivery such as workers still completing work at the new location, newly poured driveway, etc. These items may affect your estimate. 3. Empty, defrost and clean your refrigerator. 1. Point out to moving crew anything that is extremely delicate. 2. Do a final walk through of each room, every closet, the attic and the garage to make sure you have taken everything with you. Will you need storage services?